Everything is complicated; life grows more difficult and heavy, with an increasingly somber economic outlook. “But our citizenship is in heaven,” Saint Paul reminds us (Philippians 3:20). And Saint Peter, Prince of the apostles, exhorts us to hope for our heavenly inheritance: “an inheritance that is imperishable, undefiled, and unfading, kept in heaven for you.” (1 Peter 1:3-4). It is when we turn our eyes to Heaven that the shadows of this earth vanish and confidence and the joy of living are reborn in us. Obviously, we are not referring to the blue skies (at times gray and fraught with threats) that envelop us. We are talking about heavenly Paradise, the place of eternal happiness where the just enjoy the vision of God, the company of the Blessed Mother, and of the angels and saints. The thought of Heaven is like a beacon that illuminates the whole Christian life. It reminds us of our ultimate end and gives us our bearings. Heaven is our ultimate end. This end should direct all our activity, and we must relate everything to it if we want to understand things properly. Developing a desire for Heaven is obviously a way to more firmly assert the victory of one’s will when it is wavering between good and evil. The more the esteem of heavenly goods grows in the soul, the more despicable the delights of sin appear to be. Particularly at times of moral depression and serious temptation, we must strengthen all the energies of our soul and especially our attraction for eternal goods, which alone can counter our fascination with creatures. Heaven, however, remains largely a mystery to us. Revelation only provides an idea of eternal happiness through images and symbols but does not describe what the heavenly Paradise is like. This is why, in His infinite mercy, God not only gave us through Revelation the essential elements to nourish our faith but also took steps to fulfill this need of human psychology. Thus, He granted certain souls private visions and revelations which, though not enjoying an official status and not adding anything to the deposit of the faith, do help enliven men’s devotion and increase their confidence. Evidently, such visions and revelations must be taken with the prudence and circumspection recommended by the Church so as to avoid the illusions of one’s own fantasy and the tricks of the devil. In regard to Heaven, God has lifted a bit this mysterious curtain that separates us from the beyond by showing some privileged souls, in symbolic terms, some marvelous aspects of the heavenly Paradise. He wanted us not only to have the truths we must know about the Heavenly Mansion but also, as it were, to relish a taste of the boundless and endless happiness we will enjoy there. As you know, dreams come in one’s sleep. So during the night hours of December 6, while I was in my room – whether reading or pacing back and forth or resting in my bed, I am not sure – I began dreaming. It suddenly seemed to me that I was standing on a small mound or hillock, on the rim of a broad plain so far-reaching that the eye could not compass its boundaries lost in vastness. All was blue, blue as the calmest sea, though what I saw was not water. It resembled a highly polished, sparkling sea of glass. Stretching out beneath, behind and on either side of me was an expanse of what looked like seashore. Broad, imposing avenues divided the plain into grand gardens of indescribable beauty, each broken up by thickets, lawns, and flower beds of varied shapes and colors. None of the plants we know could ever give you an idea of those flowers, although there was a resemblance of sorts. The very grass, the flowers, the trees, and the fruit – all were of singular and magnificent beauty. Leaves were of gold, trunks and boughs were of diamonds, and every tiny detail was in keeping with this wealth. The various kinds of plants were beyond counting. Each species and each single plant sparkled with a brilliance of its own. Scattered throughout those gardens and spread over the entire plain I could see countless buildings whose architecture, magnificence, harmony, grandeur and size were so unique that one could say all the treasures of earth could not suffice to build a single one. If only my boys had one such house, I said to myself, how they would love it, how happy they would be, and how much they would enjoy being there! Thus ran my thoughts as I gazed upon the exterior of those buildings, but how much greater must their inner splendor have been! As I stood there basking in the splendor of those gardens, I suddenly heard music most sweet – so delightful and enchanting a melody that I could never adequately describe it. … A hundred thousand instruments played, each with its own sound, uniquely different from all others, and every possible sound set the air alive with its resonant waves. Blended with them were the songs of choristers. In those gardens I looked upon a multitude of people enjoying themselves happily, some singing, others playing, but every note, had the effect of a thousand different instruments playing together. At one and the same time, if you can imagine such a thing, one could hear all the notes of the chromatic scale, from the deepest to the highest, yet all in perfect harmony. Ah yes, we have nothing on earth to compare with that symphony. Once that host of boys got some eight or ten paces from me, they halted. There was a flash of light far brighter than before, the music stopped, and a hushed silence fell over all. A most radiant joy encompassed all the boys and sparkled in their eyes, their countenances aglow with happiness. They looked and smiled at me very pleasantly, as though to speak, but no one said a word. “How come you are here?” I asked still bewildered. 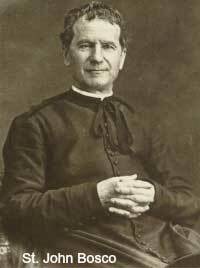 Here ends the narrative of Saint John Bosco’s dream. In this vision, through symbols, the saint was only shown natural aspects of heavenly happiness. He was not able to contemplate the essence of heavenly happiness, which is the beatific vision. Even the most beautiful material things are only symbols of spiritual things; and the pleasure they procure us cannot compare with spiritual pleasures. Saint Paul said that on earth we see God as in a mirror, however in heaven we will see Him face to face (1 Corinthians 13:12). Since “God is charity” (1 John 4:8) we cannot know Him in the degree and intensity of the beatific vision without loving Him to the greatest degree and capacity of our perfected nature. Participating in His essence, through this intuitive knowledge, we participate in the Love that is His very nature. God Himself promised Abraham that He would himself be his “reward exceedingly great” (Gen. 15:1). Furthermore, the desire of heaven increases our hope, the theological virtue whereby we desire and expect to attain eternal bliss. 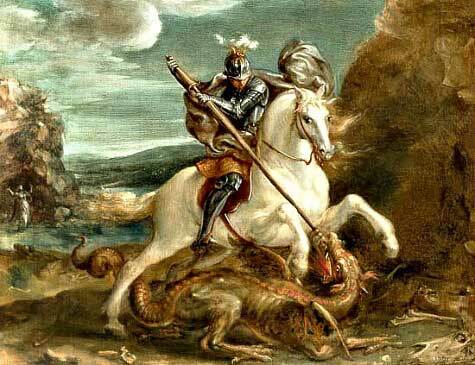 This virtue is so important that Saint Paul presents it as an essential part of one’s armor to face great struggles: “the helmet that is hope for salvation” (1Tess. 5:8). And he calls it “an anchor of the soul” (Heb. 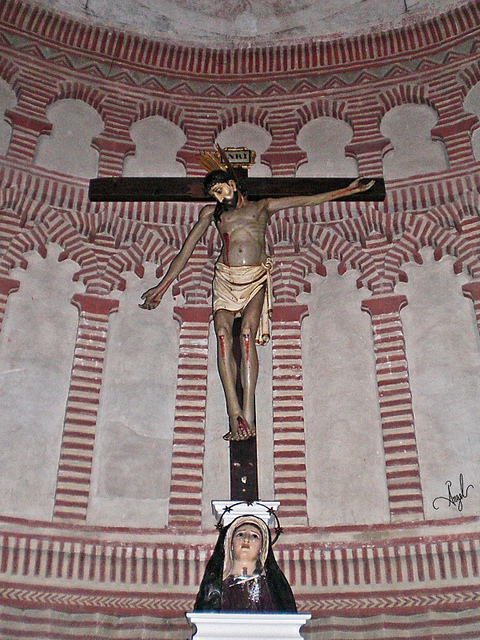 6:19). let us think more about Heaven and thus enkindle our hope.